New Digs, and We’re Hiring! Statêra is thrilled to announce the opening of our new 15,000 sq. ft. offices, I-Center and collaboration space in the Denver Tech Center here in Colorado. According to our fearless leader and CEO Carl Fitch, the move was prompted by company growth and rising demand for development talent in the Rocky Mountain and TOLA (Texas, Oklahoma, Louisiana and Arkansas) regions. 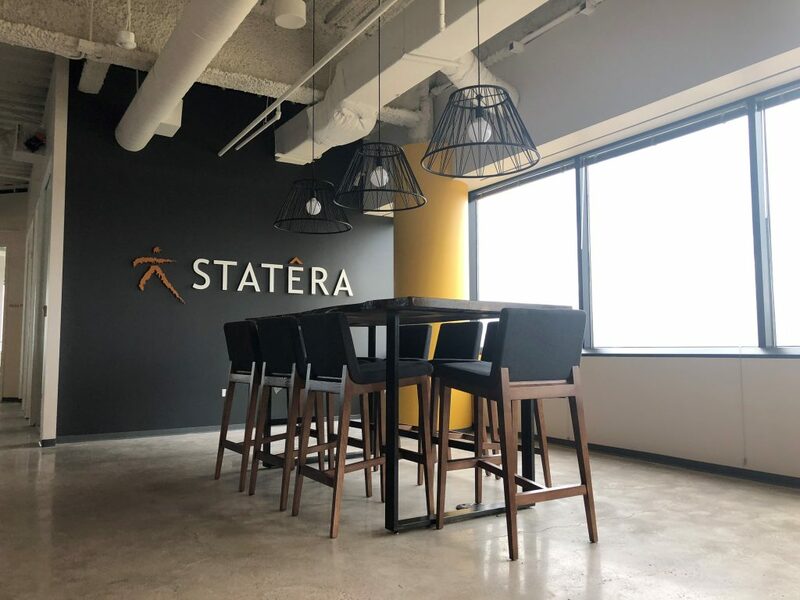 Statêra currently employs 120 people at its Denver headquarters and in satellite offices around the country, and is looking to hire up to 40 additional employees immediately. Statêra is looking for “smart people that solve difficult business and technical problems,” Fitch said. Immediate needs include cloud development, big data, package configuration and integration. “The need for additional high-functioning teams in the region — and across the country, quite frankly —has been glaring for the last few years. We see this as a trend that will continue, and with our experience and client base, we are in a great position to fill some of those gaps and help spur innovation,” said Fitch. According to Statêra President Brad Weydert, the opening of the I-Center — named from Statêra brand pillars: ideation, innovation and implementation — will eventually allow the company to double in size and provide more space for clients and teams to workshop face-to-face when needed. Morgan Houtsma is a Marketing Analyst at Statêra with a background in marketing and outreach. She has a BS in Marketing from the University of Wyoming with a focus on customer relations and online marketing.